I had a £10 voucher from House of Fraser and wanted to spend it on nail varnish. I'm a fan of Nails Inc and when I saw this blue Belgrave Place colour reduced from £15 to £9, my decision was made very quickly. It arrived last week and I applied it for the first time on Wednesday whilst watching Bake Off. 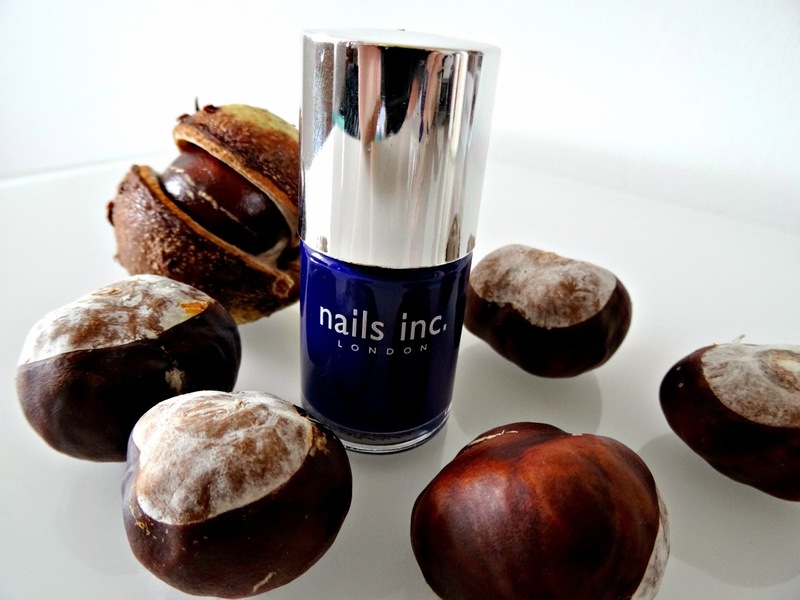 I've been looking for a blue nail polish for a while now and wanted to make this one my favourite pick for autumn. The blue is a lovely navy shade which, when sunlight hits it, shows a purple tone as well. Like all Nails inc polishes, it was easy to apply. The texture is great and allows an even application. One to two coats are enough to cover your nails and the polish has a lovely glossy shine. So, why am I still disappointed by the product? Well, it took bl**dy ages for it to dry. Between applying each coat, I left at least 30 minutes. When I finally applied my top coat, Bake Off was long finished and I was tortured with ExtraSlice. Anyway, I got super excited about the finish. The excitement didn't last long. Less than 24h and a stop at the petrol station later, the first nail chipped. I blamed the unhandy nozzle at Tesco's petrol station, but back in the car, another one chipped! By the time I arrived in Cardiff and went around the shops, I had a big piece of polish chipping of my middle finger. So annoying! I don't really like giving negative reviews but recently it has happened far too often that Nails Inc polish chipped after only one day. It feels like the quality of their polishes has gone down drastically and I had a few lately that were a hit and miss. It took a long while to dry and for the price of £15 you expect the polish to last at least for a couple of days. My nails looked untidy and I had no alternative but to sit in another long session to remove it. 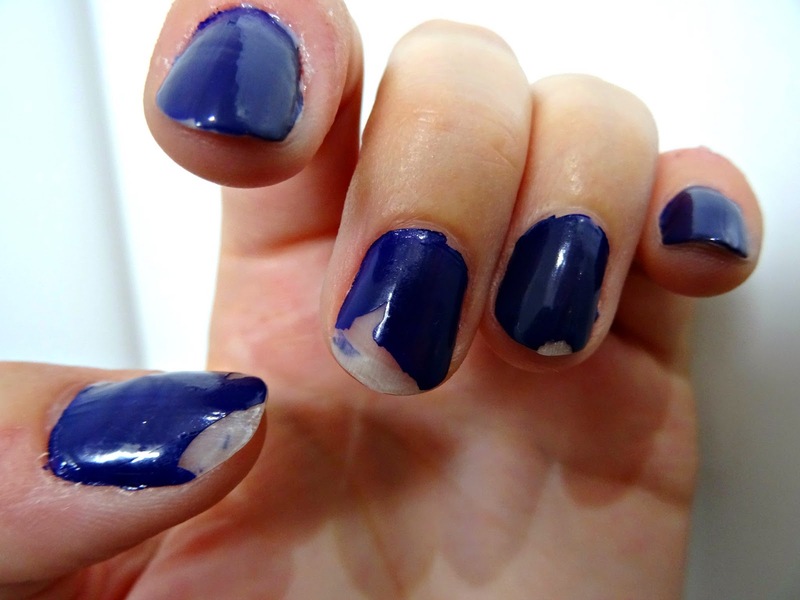 That's not only very time intensive, but also damaging to my nails if I have to remove nail polish every day. So I hope the brand will work on the formula in future as I really like their polishes and 3D colours. I still love the colour and will give it another try. Maybe I have to invest into a more pricey top coat and see what will happen. Thank you so much for reading today's post. Which nail polishes do you use and do they chip so easily as well? Do you have any tips how to prevent chipping?